A truck winch is one of the most important upgrades that you should make to your truck. It’s a great tool that is designed to get your truck out of a tough situation when the unexpected happens, such as when you find yourself stuck in a mud puddle or stranded in a ditch. 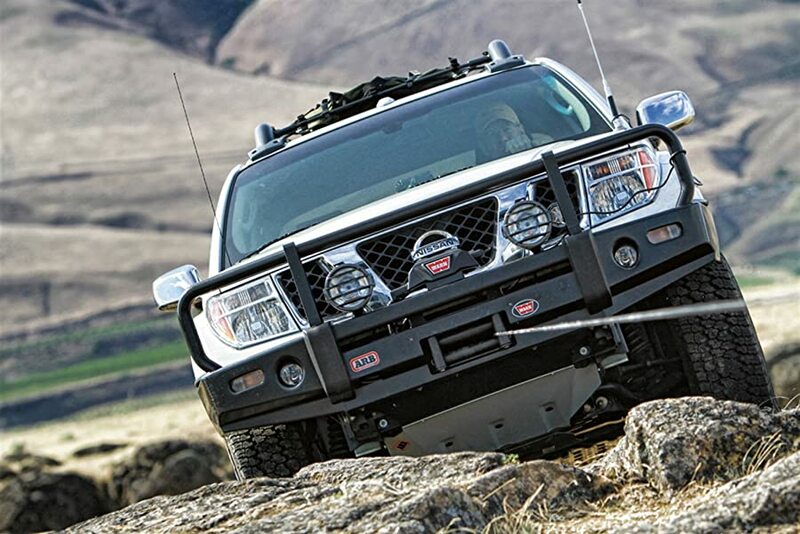 But do you know how to pick the best winch for your truck? When selecting a truck winch, there are a lot of factors to consider. You need to consider the amount of power needed based on your truck’s size and weight. You need to consider what type of winch is best for your truck. And you also need think about how much money would you want to spend. We can’t tell you what winch is best for your truck because that depends on your truck and your budget. But we’re trying to provide you everything you should know before you make any purchasing decision. More: Guide to Choosing The Best winches for Jeeps? More: What’s the best GPS device for your truck? When it comes to electric truck winches, Warn’s winches are definitely the Number #1. For almost 70 years now, they have been making the highest-quality electric winches in the industry. So it’s no surprise that they’re known in every corner of the planet, in every country. No matter where you trail, from the mountains of Tibet to the deserts of the Sahara, to the deep forests of Oregon – Warn is the winch you want and can depend on. The Warn ZEON Winches with Synthetic Rope are some of the best truck winches from Warn that most serious off-roaders want to have. With a robust electric motor and a modern sleek look, they have become some of the most popular winches on the market today. Warn Zeon winches are available in 3 popular sizes: 8,000 lb., 10,000 lb., and 12,000 lb. If your truck is a midsize pickup truck, like a Toyota Tacoma or Nissan Frontier, the best choice for you is the Warn ZEON 10-S Winch 10,000 lb. capacity. If your truck is a full-size truck, like a Ford F-150 or Chevy 1500, the Warn ZEON 12-S Winch 12,000 lb. capacity would be optimal for you. If you want to control Warn’s truck winches by a wireless remote, get the Warn 90287 Wireless Remote. It can control your winch from anywhere within a 50 feet range of your vehicle without the need for hard-wiring or splicing. This remote will work on any Warn truck winch with a 5-wire control pack or contactor. The Warn Zeon Platinum series winches have already been integrated this feature. How to Choose The Best Truck Winch? What Size Winch Do You Need for Your Truck? The first and also the most important thing to consider when selecting a winch for your truck is the size of the winch. You need to establish how strong the winch needs to be for it to be useful to you. The best truck winches should have enough pull capacity to pull your off-road truck out of a sticky situation. With many truck winches rated for different pulling weights, it can be hard to know exactly what you need. A generally accepted formula is to choose a winch that is rated for at least 1.5 times the gross vehicle operating weight rating (GVWR). In the United States, the Department of Transportation’s Federal Highway Administration (FHWA) puts trucks into classes ranged from 1 to 8 (smallest to largest) based on GVWR. GVWR refers to the maximum operating weight a truck can possibly carry while driving including the truck itself. GVWR classes have nothing to do with what parts the truck is fitted with, how beefy the suspension is, or what the truck looks like. They are solely based on weight. So if a truck’s GVWR is 10,000 pounds, that’s the most the manufacturer and government have certified the truck to possibly weigh with fuel, passengers, and cargo. These classes exist for safety regulation, commercial designation, and registration purposes. Most trucks that need a winch live in class 1, 2, and 3. The class 1 truck GVWR ranges from 0 to 6,000 pounds (0 to 2,722 kg). Examples of trucks in this class include the Toyota Tacoma, Dodge Dakota, Nissan Frontier, GMC Canyon, Chevrolet Colorado, Honda Ridgeline, and Ford Explorer SportTrac. The best truck winches for trucks in class 1 should range from 8,000 lb. 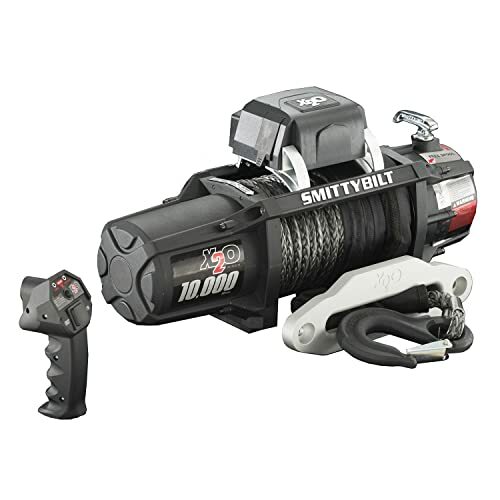 to 10,000 lb., such as the Smittybilt 97495 XRC Winch – 9500 lb. Load Capacity. The class 2 truck GVWR ranges from 6,001 to 10,000 pounds (2,722 to 4,536 kg). Examples of trucks in this class include the Dodge Ram 1500, Ford F-150, Chevrolet Silverado 1500, GMC Sierra 1500, Toyota Tundra, and Nissan Titan. Class 2 is commonly referred to as a full-size pickup. The best winches for trucks in class 2 range from 9,000 to 15,000 pounds. If your truck is in this, we would suggest you buy the Warn Zeon winches 12,000 lb. The class 3 truck GVWR ranges from 10,001 to 14,000 pounds (4,536 to 6,350 kg). 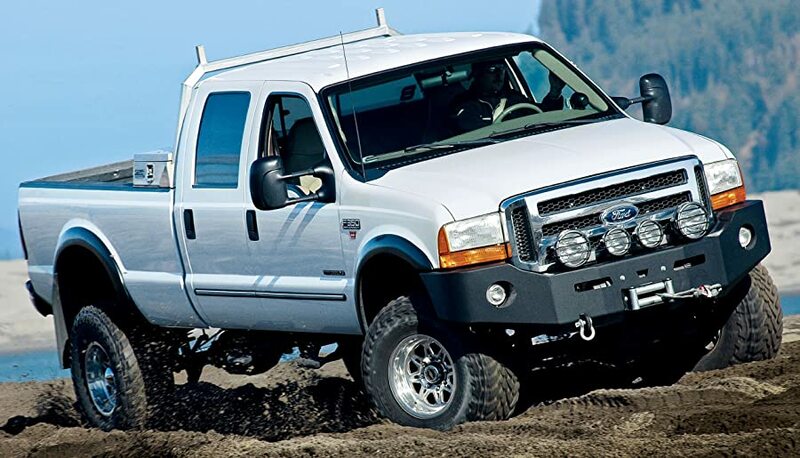 Examples of vehicles in this class include the Dodge Ram 3500, Ford F-350, Silverado 3500, and the GMC Sierra 3500. Today these trucks tend to have a curb weight (weight empty but ready-to-drive) around 6,000+ pounds and can tow up to 30,000+ pounds. The best truck winches for trucks in class 3 should have more than 15,000 pounds pulling capacity. A 16,500 lb. 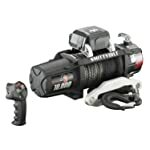 winch like the WARN 68801 16.5ti Thermometric Winch is our preferred choice. When it comes to truck winches, bigger is always better by any means. The fact is 1.5X is just a minimum. Certain factors can quickly cause your winch capacity to be exceeded so you need to think about your intended usage. Be aware that certain terrains and situations can put a much greater demand on a winch over the typical 1.5 multiplication rule of thumb. For instance, a common cause for winching is mud. Mud, however, has an incredible suction force on a stuck vehicle and in many cases that 1.5 rule of thumb is far inadequate. Steep hills and frequent winching also put a great demand on a truck winch. Thus, having a bigger winch might save you a lot of time and effort in such situations. Also, a bigger winch is less likely to stall, less likely to overheat, needs less cool down time, and has more power when you need it most. Bear in mind that 1.5X would be enough for 95% of your winching needs, but for the remaining 5%, go bigger. It’s always a good idea to at least double your truck’s gross vehicle operating weight rating when choosing a truck winch. Electric vs. Hydraulic Winch – Which Type is Right For You? Which type of winch is best for your truck – hydraulic or electric? The biggest difference between the two is duty cycle. Because it’s powered by the steering pump, you can winch until the cows come home with a hydraulic motor as long as your engine is running. By comparison, an electric winch typically uses the battery of a vehicle in order to power the winch’s motor. It will only work if the vehicle battery is charged, and it is possible for an electric winch to drain a battery quickly. So it’s important to set up the battery system on your truck correctly if it’s using a winch. Electric winches are more common and the first choice for most trucks. Most of the best truck winches we suggest to you in this post are an electric winch. One of the main advantages is that they are often easier to install. If there is a need to transfer the winch from one vehicle to another, one must simply reinstall only the winch. Off-roaders will appreciate an electric winch more, because it can be fast and efficient, and has enough power to pull them out of a rut. As it is only run on the battery of the vehicle, it does not require the expense of installing the hydraulic pump to power it. Another key advantage of an electric winch is that it doesn’t require the engine to be running to use them. This is important, as there are many situations in which your truck can be stuck and not has an operating engine. Anyway, an electric winch is also significantly cheaper than a hydraulic winch of the same pulling capacity. Most any other big job is going to require a hydraulic winch, offering heavy duty capability and raw durability. The installation of a hydraulic winch will require more components to power it, but you cannot put a price on the efficiency and strength gained. For instance, a tow truck would require a hydraulic winch, but would also utilize a built-in hydraulic pump system to power the heavy duty winch. In the truck world, hydraulic winches are less common. But because of the fact that hydraulic winches are able to run constantly without having to worry about overheating or failing, many folks still like to install them for their trucks. If you are planning on using a hydraulic winch for your trucks, one of the most important things you should know is that the hydraulic winches run off the steering pump, therefore, the engine must be running in order for it to operate. Mile Marker makes some of the best hydraulic winches for trucks on the market. If you’re looking for the best truck winch with a hydraulic motor, Mile Marker’s hydraulic winches are the way to go. When it comes to deciding what winch is best for your trucks, an important thing you need to decide is what type of rope to get. You have two basic choices, wire cable, and synthetic rope. Wire cable has been around for a long time in the winch world and is still very popular today, mainly because it is very strong and rugged. Made from strands of carbon steel, wire cable is the traditional choice for winch line. It’s what is wound around the winches that come directly from the factory. 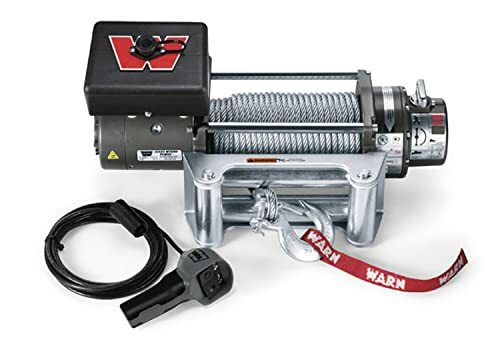 This kind of winch line has a lot of things going for it; it’s heat resistant, abrasion resistant, relatively inexpensive, and is low maintenance. However, it does has several drawbacks. Wire cable can rust, as well as develop sharp burrs as it wears, requiring gloved hands to operate. These burrs can easily cut through skin like a knife. One of the most dangerous issues with the wire cable is it stores a lot of energy meaning if it snaps it can slice a person in half. Wire cable is also significantly heavier than synthetic rope. Synthetic rope entered the off-roading world in the 90’s and has become very popular due to its safety benefits. Its biggest safety feature is unlike steel winch cable; synthetic rope doesn’t store anywhere near as much kinetic energy. This means if it were to snap it’s less likely to cause any serious damage to anyone or anything. And in the event of a break, you can tie a knot into it and the winch can continue doing its jobs. That’s great, especially in an emergency. Being lighter than wire cable also gives synthetic rope an advantage on trucks that are sensitive to weight, especially over the front axle. Synthetic rope’s high flexibility and low weight make it much easier to handle than steel with the added benefit of not kinking the way wire cable can. Synthetic rope is also very strong, modern synthetic rope can be much stronger than wire cable. If the synthetic rope is such great, does it mean the best truck winch for you is definitely a synthetic rope winch? Well, synthetic does have its share of disadvantages. Drawbacks include susceptibility to UV exposure, chemicals, heat, and abrasion, all of which can substantially weaken the rope. Because of this, quality synthetic ropes come with a protective anti-abrasion sleeve that slides the length of the rope as well as a special protective coating. To protect against heat buildup from the drum brake, either a heat sleeve or more heat-resistant material can be used on the portion of the line that wraps around the drum. Another disadvantage to the synthetic line is that it can hold water, which can add weight or even freeze in cold weather, turning your winch into a useless ice block. Because of those disadvantages, it’s important to choose a truck winch with a synthetic rope that features weather and water resistance, such as the Smittybilt X2O Waterproof Synthetic Rope Winch. 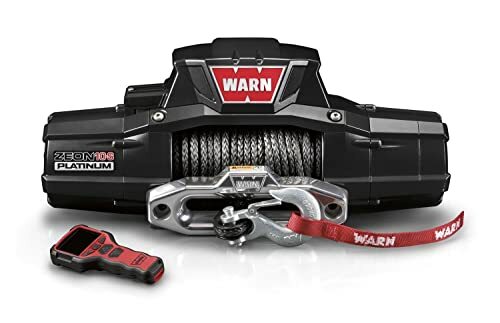 This is one of the best inexpensive waterproof truck winches with a synthetic rope on the market, along with the Warn winches. Who Makes The Best Truck Winch? Warn is definitely number 1. The toughness that’s built into every WARN winch has become almost legendary, so it’s no surprise WARN winches are the best-selling winches of all time. As far as we know, most Warn winches have been made in the USA, that’s probably why they’re such expensive. As the official supplier of winch equipment for the US Military, the reliability of Mile Marker winches is a foregone conclusion. In fact, the hydraulic Mile Marker winch is the only winch that is approved for Humvees in the US Military, making it a great choice for anyone who’s excited to do some serious off-roading. When it comes to hydraulic winches — Mile Marker winches are the best. Superwinch makes some of the best winches for trucks, Jeeps, and ATV. 45 years ago, the first Superwinch began as a project of Ford Motor Company. Nowadays, the company is one of the largest manufacturers of winch systems and accessories in the world. Superwinch winches have an outstanding reputation in the marketplace for their superior design, reliability and value proposition and have established a loyal following among off-road enthusiasts. The key benefit of Superwinch truck winches is that they are simple, reliable, and high performance but the price is very reasonable, less expensive than Warn and Mile Marker winches. Smittybilt offers many high-quality winches for pickup trucks at an affordable price. If you want the best truck winch but can’t afford Warn and Mile Marker, Smittybilt winches are a great alternative to buy. 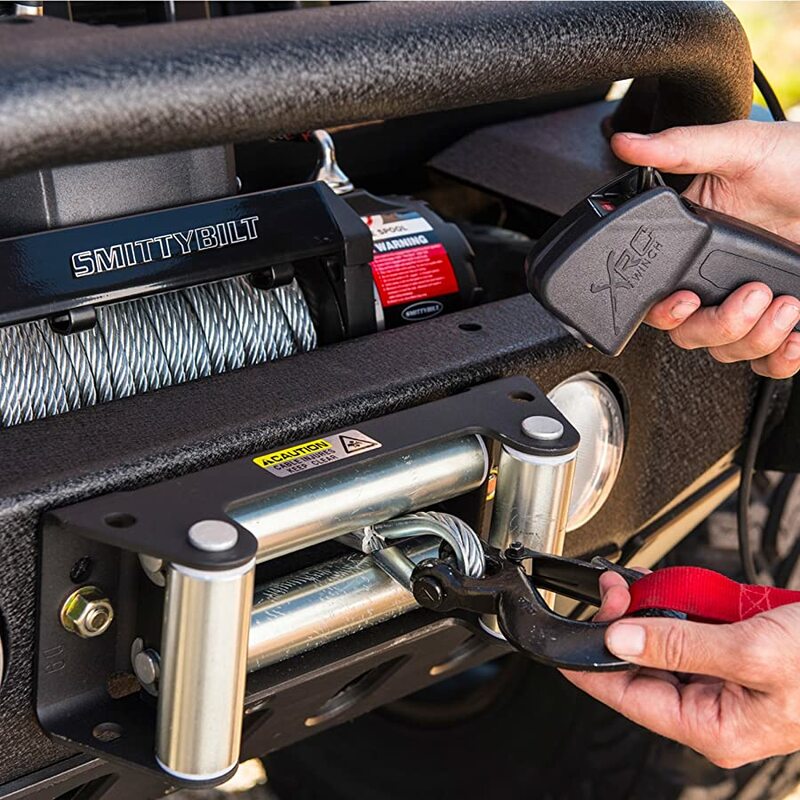 With the price that you have to spend for a wire cable Warn winch, you can easily get a premium winch from Smittybilt with a synthetic rope. If you go to Amazon.com and search for Smittybilt winches, you’d see they have got a lot of positive reviews from buyers and some of them are even living in the best-selling list. The Warn 95950 ZEON 12-S Winch is a great choice for full-size pickups such as the Ford F-150 and Chevrolet Silverado 1500. It features a symmetrical design, making it easier to install in tight spaces and bumpers. On the top of the winch is the solenoid pack. With Zeon models, this can actually be removed to fit the winch into an even tighter space on your bumper (a remote solenoid pack would have to be purchased, but WARN makes those, and we carry them, so you’re covered there). The Warn Zeon 12-S winch has been updated with even better components and features. The gear set has been updated to a 3 stage planetary system, and the motor has a completely new design for WARN. What does this mean to you? It means faster winching line speeds and a quieter operating winch. Warn has also increased the drum diameter. The casing is made of cast aluminum, which acts as a much larger heat sink, giving the Zeon a lower operating temperature. You can use your Zeon winch with better cycle times, with less chance of overheating. In addition to a sleek design and an advanced electric motor, the 12,000-pound-rated winch receives Spydura synthetic rope. 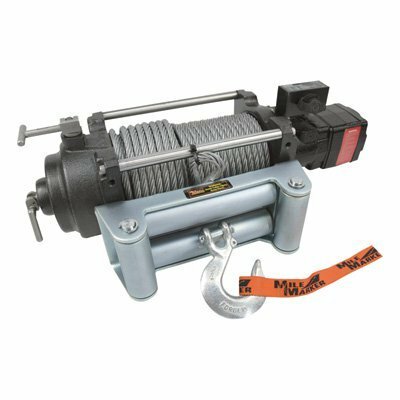 Unlike the typical synthetic rope winches, the Warn Zeon 12-S winch has the IP68 rating. Meaning, you can submerge the winch in 5 feet of water for up to 30 minutes without any water intrusion inside. Of course, it’s also dust, mud and dirt proof, so you can readily trail just about anywhere you want, and the WARN Zeon winch is ready to go there with you. 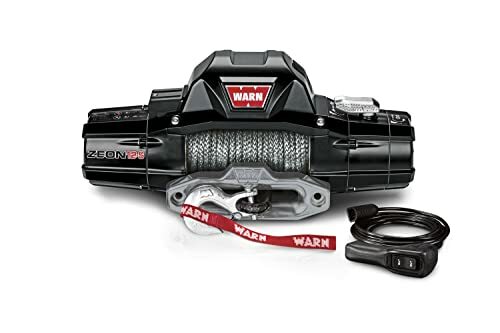 Overall, if you’re looking for the best truck winch with a synthetic rope, the Warn Zeon 12-S winch is a perfect choice. And with a limited Lifetime Mechanical Warranty along with a 7-year electrical warranty, you can’t go wrong with it. The WARN M8000 Winch has been trusted by off-roaders for over twenty years. This 8,000 lb. capacity winch offers outstanding reliability and value. Its low-profile design allows for a variety of mounting options, making it perfect for most compact pickup trucks, such as Ford Ranger, Chevy S10, GMC Sonoma, and Mazda B Series. 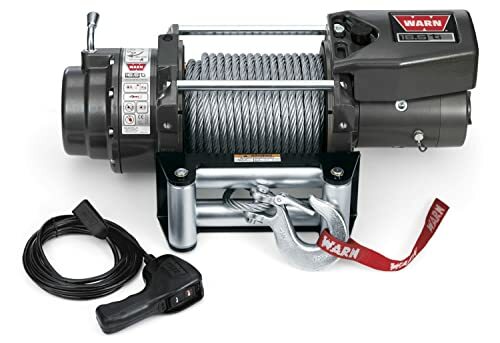 This winch (and it’s synthetic rope counterpart, the Warn M8000-S) is 100% made America. The best truck winches have a powerful motor. The M8000 comes with a series wound, 12V 4.8 HP winch motor which provides sufficient power to pull any object without fear of failure or disappointment. This is actually the source of strength of the powerful performance that is associated with the winch. A number of other features make the operation of the Warn 8000 lb winch easier and highly friendly. These are the presence of a 12ft long remote control, availability of automatic brake free spooling clutch, hundred ft long and 5/16 inches thick wire cable, fairlead roller provide enough strength and reach to get any vehicle out of any nasty terrain. If you’re looking for a well-built and reliable winch for your truck, look no further than the Smittybilt X2O 10,000-lb Waterproof Synthetic Rope Winch. 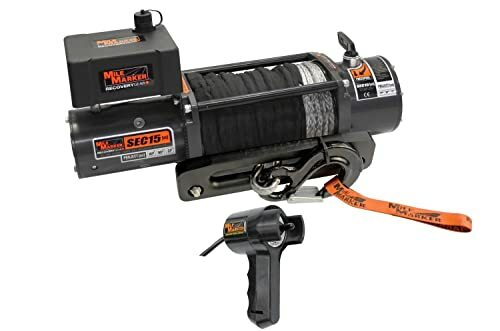 This 10,000 lb winch is surprisingly high-quality at a very reasonable price and features an integrated wireless remote control for ease of use and maximum versatility. The Smittybilt X2O Winch has been enhanced in almost every area for increased performance and trouble-free operation. It features a Series Wound 6.6 HP motor that is completely sealed, as well as a 3-Stage Planetary Gear System. The X2O winch features a completely waterproof 500 AMP solenoid pack that can be mounted in 2 different locations, depending on your application needs. It also includes a new controller that can be wired to the winch or unplugged for trouble-free wireless operation. All of those features plus a waterproof synthetic rope make the Smittybilt X2O 10,000-lb Winch one of the best winches for trucks on the market. At the current price, this is a great deal. The Warn ZEON Platinum 12-S winch is the toughest, most technologically advanced truck winch on the trail today. It’s designed with the wheeling enthusiast in mind. Compared to the Warn Zeon series winch, the Platinum Zeon series offers a 20 percent faster line speed, extreme IP68-rated waterproofing, and a high-performance motor package. One of the key features that makes Warn ZEON Platinum 12-S winch one of the best winches for most full-size trucks is its Symmetrical Design. This design helps ZEON Platinum match current vehicle styling. The black satin finish and stainless steel hardware resist corrosion, and a robust aluminum housing adds strength and durability. The innovative convertible control pack allows flexibility to remove the pack and mount it separately from the winch. It can be mounted in tight spaces, or fit into a low-profile look. Overall, we think the Warn ZEON Platinum 12-S winch is one of the best truck winches for off-road that you can buy today. Whether you’re an off-road enthusiast or a professional, Mile Marker has a hydraulic winch for your needs. The Mile Marker HI-Series 12,000-lb Winch is perfect for owners of full-size trucks. This winch is powered by the power steering pump, allowing uninterrupted pulls for hours on end and operating in all climatic conditions. It will provide full power pulls without fear of overheating as long as the engine is running. The Mile Marker HI-Series 12000 Hydraulic Winch was intended for permanent mounting in the front or rear of a vehicle. The solenoid control valve is integrated into the winch body, and therefore always remains in the same location as the winch itself. This system includes all necessary hoses, solenoid control valve, remote control, roller fairlead with fasteners, and winch cable. To adapt to your truck power steering pump, the winch requires a vehicle specific 35-series vehicle adapter kit. Overall, as the official supplier of winch equipment for the US Military, there is no doubt that Mile Marker’s hydraulic winches are best. If you’re looking for the best truck winch with a hydraulic winch motor, then you can stop here. The Mile Marker 76-53260W Electric Winch is perfect for ¾ ton trucks such as the Ford F-250, Chevrolet Silverado 2500, GMC Sierra 2500, and Ram 2500. It’s a winch that is heavy on power, but light in weight. Featuring a compact design, it weighs in at less than 63 pounds, with an impressive pull strength of 15,000 pounds. Because of the light weight, this winch mounts easily and is an excellent choice for trucks looking for big winch power without adding big winch weight to the vehicle’s front end. Fully-sealed, submersible, water, mud, and snow proof, the all-metal, 3-stage planetary gear train provides the durability and reliability you can depend on in the most extreme situations and elements. What do you get when you combine 16,500 lbs. of pulling power with all the innovative features of the WARN ti-series? The WARN 16.5ti winch. 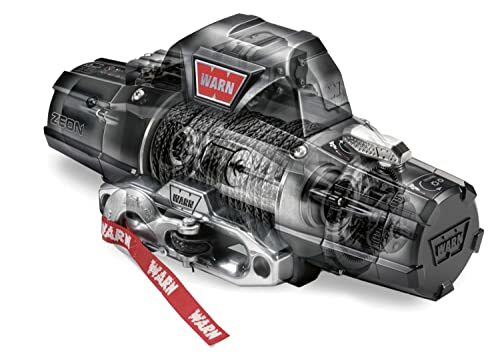 The highest capacity, most technologically advanced truck winch in Warn’s lineup. The 16.5ti features the full diagnostic ability of WARN Thermometric technology, plus the extreme sealing, durability and reliability that the WARN ti-series of winches are known for. The new, more efficient design delivers faster line speeds and lower amp draw. It’s beefed up where needed, and features a new aluminum solenoid housing cover. Not to mention 90 feet of aircraft grade, 7/16″ wire rope.